We are a spin-off of HIP Gastroplex, where we develop new food products for clients as well as ourselves. Caffex™ was started in 2011 with gourmet caffeinated marshmallows made by us in three flavors: Coffee (double cup), Java (double espresso), and Mocca (chocolate espresso). Sales really took off when we introduced our double chocolate - that is chocolate with cocoa nibs - ChocoMallow Squares along with CoffeeMallow Squares in 2012. One of our sales partners, VAT 19, even created a pretty funny video for it! 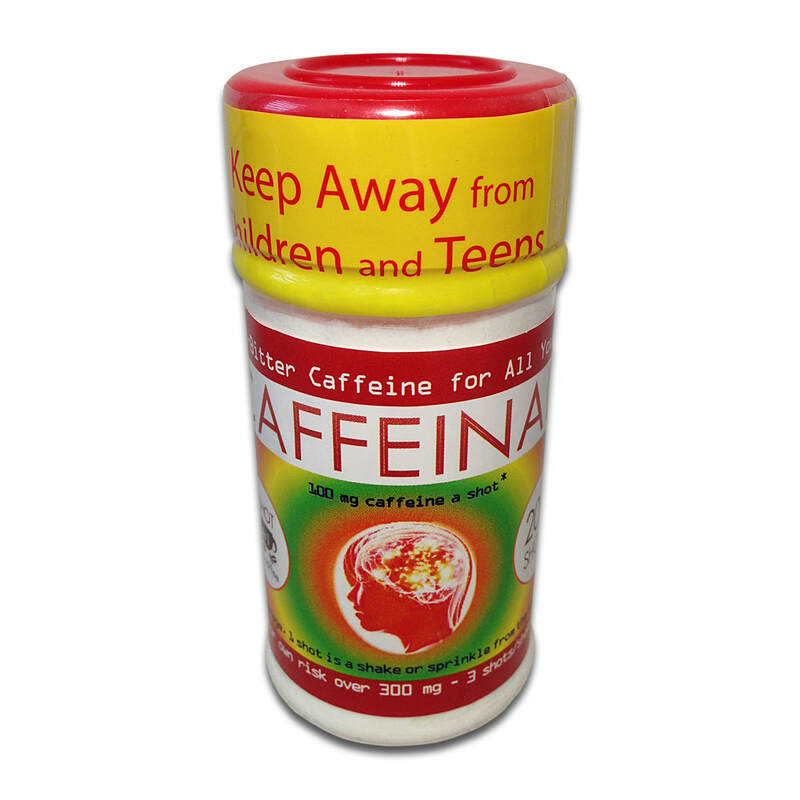 They were even featured in the Wall Street Journal in 2013, along with other caffeinated products - see article here. Encouraged by these results we developed MintMallow Squares and started to work on an entirely new caffeine product: a non-bitter gourmet caffeine powder that could be added to any food easily and inexpensively. 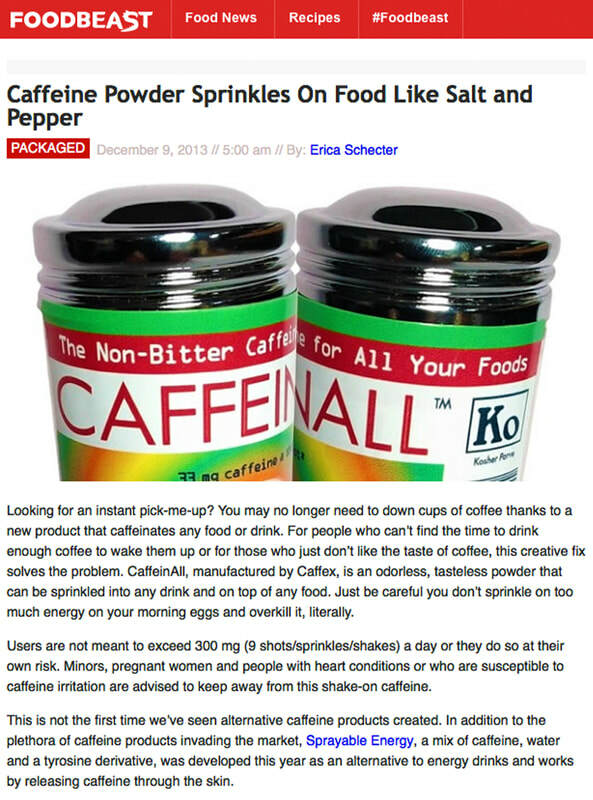 That's how CaffeinAll™ was born in early 2013. By the end of the year we started to garner some pretty serious media attention from the likes of the Daily Mail in the UK, Delish.com, Digital Journal, Egostatic, the Food Beast, Diet Spotlight, even a major Brazilian media website, Hypeness.com.br. You can read part of the article from the Daily Beast below - and there will be many more as we grow. We reformulated CaffeinAll™ in 2015 and repackaged it a year later in a light, non-breakable PET shaker. It is perfect to take along on trips, keep in your jacket, purse, car, and backpack now - a feature requested by a good number of our customers!